Troop 21215 used June to get outdoors and spent a great evening at Camp Ilchester! 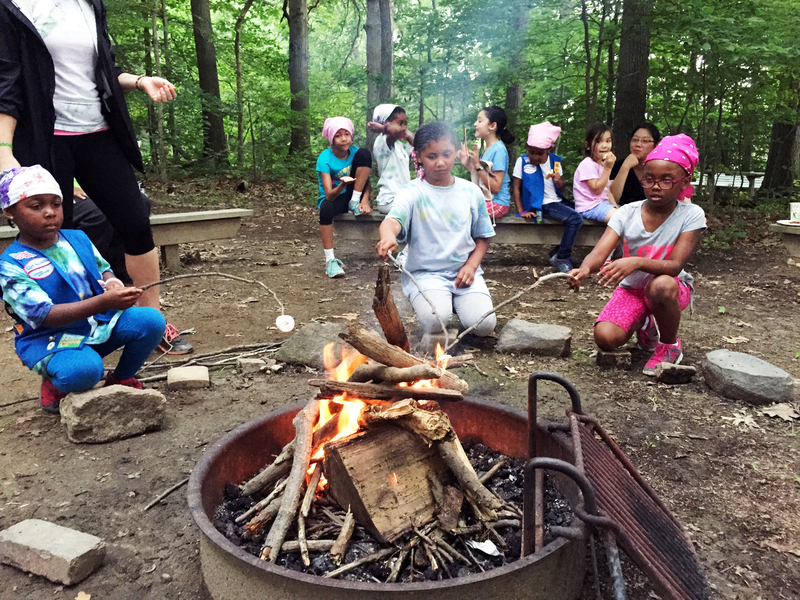 Fifteen girls were able to join in on the fun that included a nature hike, tree exploration, fire safety, hotdogs on the grill, campfire songs, and of course s’mores! We planned a whole day event to enjoy the outdoors, but anytime is a good time to get girls outside and help them learn about the world around them. 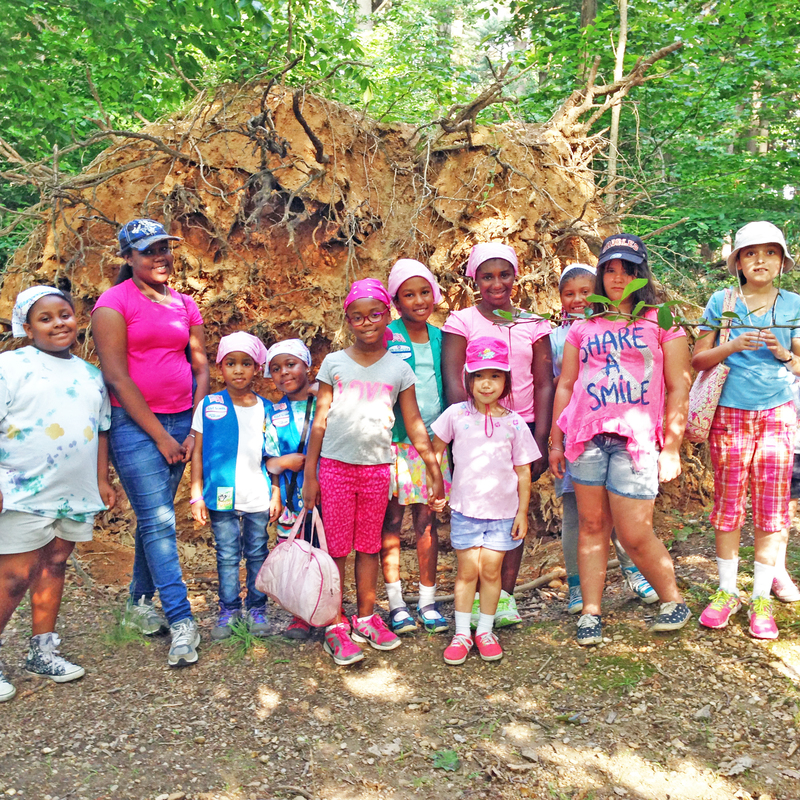 The girls in Troop 21215 were fascinated with a huge, unearthed tree that we encountered on our hike. Troop 21215 is a council sponsored troop which is an option for girls that who do not have placements in their own communities. We currently have over 701 girls on our placement list who are waiting for troop leaders so they too can have these great experiences. To learn more about becoming a leader and what girls are waiting in your area, please contact join@gscm.org . As a leader, I can say some of my favorite memories are when I get to work with these fantastic young ladies and see them grow. We have so many tools to help leaders, and the process to get started is so simple. I know there are 701 girls who would love to meet their new leader, so please consider volunteering your time, or ask someone you know if they would be interested in helping us build girls of courage, confidence, and character. With your help, they can make the world a better place.